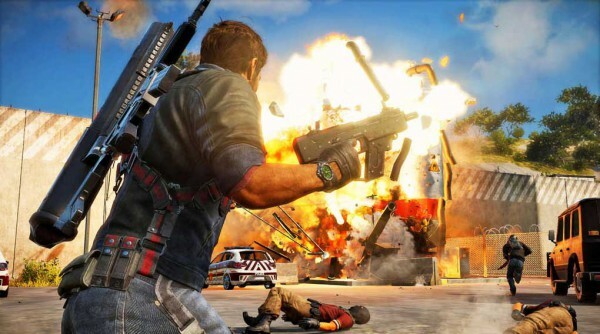 If you have Xbox Live Gold, you can play Just Cause 3 for free this weekend. Xbox Live Gold subscribers can play Just Cause 3 for free starting on Thursday, May 3. Rico Rodriguez is a fun fella to play, and if you never bothered with the 2015 release, now’s your chance to try the open world game. Just Cause 3 is a large game with 400km2 of of land, sea and sky, and it’s full of weapons, explosives, and tons of zany antics. To download the game during the Free Play Days, search for the game on the Microsoft Store via the Xbox Dashboard. Xbox One players, not just Gold members, can grab the game for up to 80% off. The Just Cause 3: Land, Sea, & Air Expansion Pass is also 75% off for a limited time. Just Cause 3 will be free to play May 3 starting at 12am PDT, 3am EDT, 8am BST. The free play weekend will end on Sunday, May 6 at 11:59pm PDT, and at 2:59am EDT, 7:59am BST on May 7. Progress and achievements will carry over to the full game upon purchase.